Is the creative artist in you looking for a new home improvement project? Do you want to take on project that doesn’t demand too much of your time? If you are unable to decide on the aspect of your home that requires attention, do not worry. Here’s a window of opportunity for you: Windows. 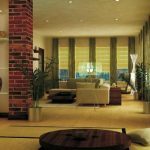 Hard window treatments involve usage of hard materials such as wood and vinyl. It involves choosing window shutters, blinds and shades. If you make use of drapes and curtains, it is called soft window treatments. If you entertain a lot of guests, it is best to opt for durable material for the living room and the dining area. Similarly, a kitchen window should have washable fabrics. You can consider silk and other delicate fabrics for the bedroom. If you want to restrict the natural light in a room, it is best to consider blinds and shutters. They provide you with more options to allow just the right amount of light you want. When it comes to energy-efficient window treatments, think of honeycomb blinds. They trap the cold and warm air and save your energy costs. If you live in a noisy neighborhood, choose multiple window treatments. You can go for window shutters with heavy drapes to block the noise. You can even consider decorative molding around the window to beautify it. If you want to give a trendy look to the window glass, you can go for stained glass and make the window a conversation piece among your guests. If you are in doubt about making changes, hire a home renovation contractor Toronto. He will provide you with various options and help you make the right decision. Affinity Renovations is the perfect home renovation contractor for window treatments. Hire us for the best home renovation services in Toronto. 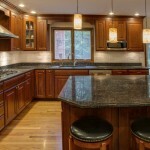 Get in touch for renovating the kitchen, remodeling the basement and painting the home beautifully.